The split between music duo P-Square has taken another twist with the duo and their brother manager, Jude throwing caution to the winds. The estranged music super group P-Square have decided to wash their dirty linen in the public. A video has emerged online showing the duo and their brother/manager Jude Okoye having a very heated argument that almost led to fisticuffs. Paul and Jude were seen calling Peter names while the latter, who seems to be recording the drama, was also talking back at them. The squabble was said to have happened at the office of their lawyer, Festus Keyamo (SAN). Also Read: Is This Goodbye Psquare? According to a letter sent to their lawyer by Peter, he demanded for a termination of the agreement as a group. Peter based his decision on some serious allegations against his twin Paul and Jude their older brother and manager. He accused Paul of no longer willing to co-operate with him, and even going as far as cancelling their scheduled music tour to the United States without his consent. Peter further accused his older brother Jude of once threatening to kill him and shoot his wife Lola. Peter stressed that he was tired of the “drama” and all he wanted was opting out of the P-Square group and contract. 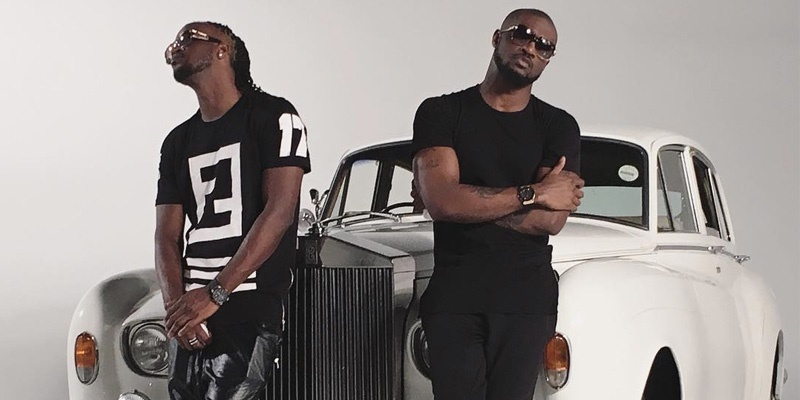 Is this finally the end of P-square?